At first glance the box that it comes instantly gets your attention. Making you want to see what in the world is on the shelf now. At first glance the pictures that were released on the internet don't do the packaging justice. That crappy photoshop trick as most were calling it, actually isn't. When you hold it in your hands there are areas of the cover that where the slime feels like it is bubbling up. The "No Ghost" logo is also raised up along with the title name. The logo itself looks superb, and professionally done by a person(s) who have had years of experience in making cover art. The back of the box still has some misprints that we have seen in the leaked photos. 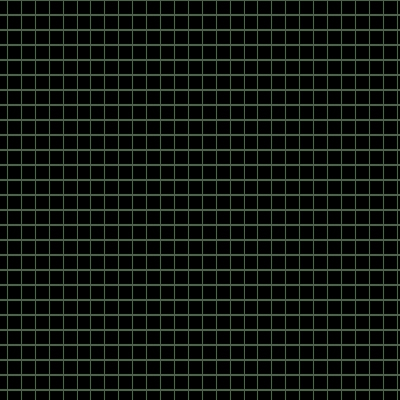 For instance Ghostbusters 1.33:1 Fullscreen. When it is actually 2.40:1 Widescreen like Ghostbusters II. When you take the disc out of the cover you see the GB 1 logo in pencil. Very good pencil drawing if I do say so myself. Even I can't draw the logo that good. Usually when you pop a dvd into your player just like vcr tapes you had to sit thru commercials. Surprisingly, it went straight to the main menu. I applaud you Sony for not making us sit through commercials for your other movies, and cutting to the chase immediately. The main menu is almost exactly like the 1999 release expect that aren't as many animations as before. Spook Central was moved off of Central Park West to where the commentary was originally. The commentary now resides inside of Spook Central. Though it may seem odd, but it does make sense. Why one thing in six different areas when it can be easily accessed from one area? Another good move for Sony. Sony did try to pull a few fast ones on this disc. For instance they renamed the 1999 featurette to cast and crew featurette. This made me think that it was no, but it was just the one from '99, just with a name change on the menu. Trailers for both movies are no longer on the disc, not sure why but there most be a reason. In the scene graveyard they spelled the deleted scene 'Bums' as "Burns" (I'm sure someone got fired over that one). Back in the '99 release they decided to do the commentary in a Mystery Science Theater 3000 style. What that was, was the three commentators at the bottom of the screen pointing at different things as they were talking. Unfortunately you can tell that this commentary was reused from the previous release during certain parts of it. Not overly bad, but some people who don't own the '99 release might get confused. The backgrounds in the Spook Central area in my opinion are better than the previous ones. These actually look like certain areas or location from the movie, and really help to tie in the extras better. Enough with the features on to the movie. When the movie start with the Columbia Pictures logo it looks really bad. I thought to myself I just waisted a little over $13 dollars on this! It's going back!! As soon as it cuts to the front of the New York public library you can instantly tell the picture is even better than the one before it. It looks like a first cut as seen by Mr. Lazlo Kovacs in a screening room back in '84. The title credits themselves even felt like they jumping off the screen the quality was still amazing. There were two areas in the film that atleast to me seemed quieter, than before. In the Fired from University scene "I can wait forever" I didn't even hear the first time thru. I had to rewind it once to make sure it was still there. Also in the 'Petty Cash' scene I again had to rewind once to make sure "In the Name of Love" was still there. It could have been my speakers on my Mac Mini, but I heard everything else just fine. Probably just a fluke, but I'm not sure. Throughout the entire movie I noticed a lot more detail on everything. It wasn't just in certain scenes mind you, it was the whole movie. Sony really took time re-master it. That shows, atleast to me, that they really do care what there movies look like years later. Like GB I disc the disc for Ghostbusters II has the second movie logo done in pencil. Way better than I could do in my sleep. Same as the first, the second disc goes straight to the main menu, though that menu is a downer. It's exactly like the one on the first disc except that instead of Spook Central it says animated episodes. They decide to stick the Statue of Liberty where Mr. Stay Puft was. That's ok, but they left the animation the same. So you Libby bouncing up and down the street, and it just looks like crap. That could have been easily fixed with a regular walking animation. Before I started to watch the cartoon episodes I thought these will be just poor transfers that had nothing done to them at all. Sony out did my expectations again. As soon as I started what the credits roll I could tell that the first episode Citizen Ghost was re-mastered. The episode title at the beginning of the ep. stood out, and grabbed my attention instantly. Occasionally there was dialogue that seemed to echo for a second or two, but wasn't that noticeable. The same goes for Partners in Slime though I think the wrong opening title music is used. The one used here is the opening title music for The Real Ghostbusters, where it is clearly stated at the end of the opening that it's Slimer and The Real Ghostbusters. It could have been that the title music was changed later on in the show after Partners in Slime was made, or they could have just used the opening music for the gift set. The movie itself looks amazing. When comparing it with the 1999 release, this version is just better. I've noticed a wider variety of things, ie people moving out of the way, different equipment, more details of the scenes, etc. It's just an all around better re-master than the one before it. Great little supplement to come with both movies. It has some info on how "no ghost" logo was created. Short biographies on the actors, and storyboards from Ghostbusters. It also shows all of the movie posters used for both movies. You would think that a book like this would be more magazine-like in the glossiness of the paper, etc. Actually it looks more like what the title says a scrapbook. Each page looks like pieces of paper with different things taped to them. Really a different approach compared to other dvd's that give you a paper-thin insert with little info on the movie, or just ads for more dvd's. It's definitely something not lose. Most people at first (myself included) thought that this was going to be a crappy re-release of everything that was out before. After looking at everything it looks like it's yin to the '99 release's yang. If you would combine them both you would have the ultimate release for Ghostbusters (minus a few things that were not either release). Though there is still a lot that could be done to make GB II better (and we all know what those things are) it's still great nonetheless. My final thought. I'm not getting rid of my 1999 copies, and you shouldn't either. Go out and buy this. You won't be disappointed. You'll enjoy it, and if you can find copies of the 1999 release get those aswell.